While YouTube is great for reaching potentially unlimited eyeballs, handing over your copyright to its owners, Google and getting lost in the myriad of how-to and cat videos is not for everyone. If you've put together a great story or a riveting documentary and decided it’s time to get it out there to the online world, here are some monetised content distribution options that might be worth considering. Fairfax offer audiences online content via their smh.tv site. The focus is on longform content over 30 minutes open to all genres. The channel manager, Ricky Sutton gets about three or four approaches per week and offers a standard 50/50 revenue share model to content makers. The major advantage of this option is the muscle, might and potential of the Sydney Morning Herald marketing machine. If that machine kicks in, your content will be promoted across their various channels. If you are interested in submitting work email ricky.sutton@fairfaxdigital.com.au and try your luck. This new Australian content platform offers audiences a chance to see independent films and gives filmmakers a chance to earn a living from their audiences. The submission process is open, with scalable revenue models and no upfront costs. The non-exclusive contracts are a revenue split with 70% of the revenue going directly to you through monthly payments. Other advantages include the ability to geo-block, set prices and view live analytics and reports on your content. Digitial Kitchen provides a cash grant for three to five emerging developers to mature their interactive projects beyond concept stage to a ‘ripe for investment’ or market ready level. Deadline for applications is 16 January 2013. In 2013 the Breaks funding program is back with a focus on getting stories from script to screen. Metro Screen offers cash support, production subsidies and expert development workshops. 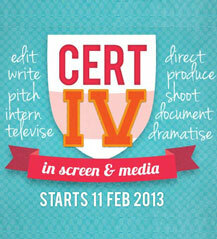 Deadline for applications is 7 February 2013. With just a $2 video app you can create warped images that turn everyday shoots into beautifully surreal psychedelic scenes. The slit-scan app for iPhones exposes each scene through a “sliding slit”. Anything moving within the frame takes on a warped look. Very effective and super cheap. Get the lowdown on the new funding and development programs; Breaks - Story to Screen, Digital Kitchen Interactive Media Fund and the revamped Certificate IV in Screen and Media at the January Open House info session. Wednesday 16 January from 6.00 – 8.00pm at Metro Screen. 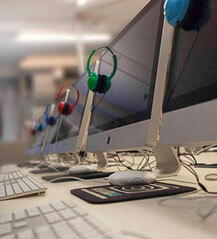 Edit your next project on a fast Media Lab workstation at Metro Screen. Dock in to the quiet, air-conditioned, well maintained Media Lab with all the latest software. Don't worry about upgrades or power bills, get cracking on your next project. The 15 iMac workstations have Intel i7 processors with 8GB of RAM, connected to fast internet, running Final Cut Pro Studio (FCP 7) and Adobe CS5.5 Master Suite. Sydney based filmmaker and Metro Screen alumni, Craig Boreham, made a short film called Ostia - La Notte Finale, about the murder of Italian filmmaker Pasolini. There is a trailer of the film on YouTube for the world to see. One of the film's lead actors, Miles Szanto, who played a young gay rentboy in the film, was suddenly faced with a barrage of hate mail from young fans of his other work on television. Craig decided to speak to other actors who have played gay roles on screen and discover their experiences. The piece was recorded entirely over Skype and with the generous support of Queer Screen. 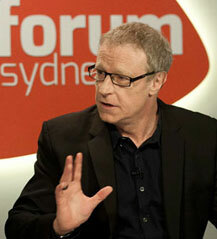 Full episodes of Forum Sydney produced by Metro Screen are now online. Watch the Urban Planning, Transport and Environment episodes covering controversial topics such as Coal Seam Gas mining and Sydney’s drinking water supply, with high profile special guest commentators. Seeking several professionals to join our team. We are currently working on a series of short films talking about the turning point in an ordinary life. The filming is intended to begin at the middle of January 2013, for each story approx. 1.5 to 3 filming days. Revelation will screen from 4 to 14 July 2013 in Perth and filmmakers from across the globe are invited to enter their films. Regarded as one of Australia’s most exciting independent film festivals, the search is on for unique, signature-driven works from both emerging and established filmmakers. Trans Boys was awarded the Outstanding Documentary prize by Metro Screen at Queer Fruits Film Festival. The film is directed by Ali Russell and produced by Monique Schafter.